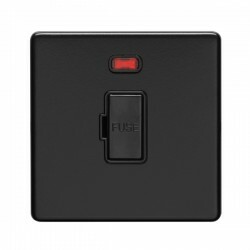 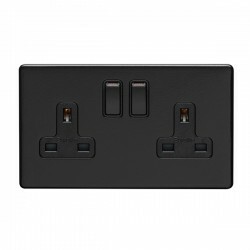 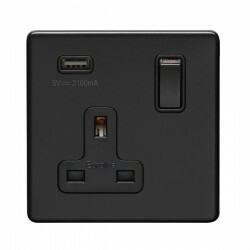 Eurolite Concealed Fix Flat Plate Matt Black 1 Gang 10A Intermediate Switch at UK Electrical Supplies. This 1 Gang 10A Intermediate Switch (ECMBINT B) is part of Eurolite’s Matt Black range, a versatile collection of wiring accessories featuring subtly curved corners and smooth concealed fixings. 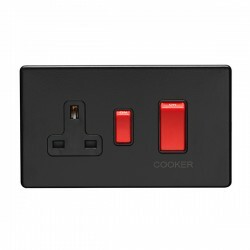 These discreet flat plate switches & sockets are ideal for a wide variety of commercial and domestic applications. 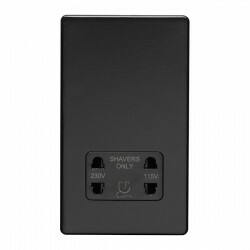 The Matt Black Intermediate Switch is particularly well-suited to stairwells, corridors, and larger rooms where three or more switches are used to control the lighting.